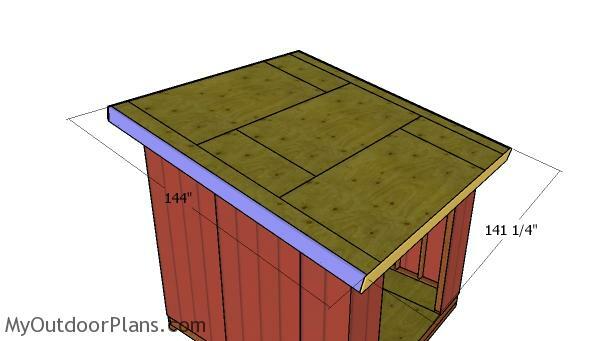 This step by step diy project is about 10×10 lean to shed roof plans. 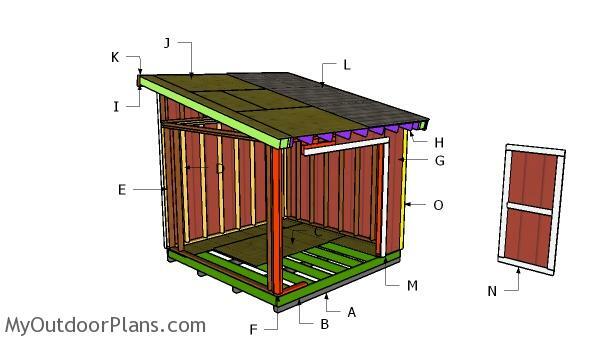 This is PART 2 of the compact shed project, where I show you how to build the lean to roof. 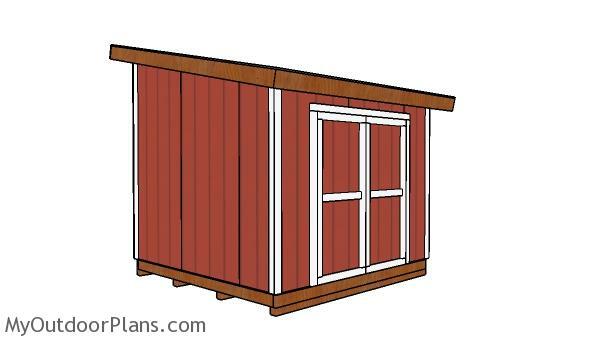 The roof of the shed is easy to build and it has generous overhangs on all sides. 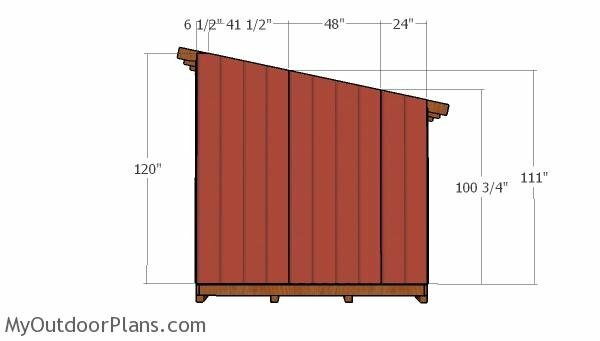 Take a look over the rest of my woodworking plans, if you want to get more building inspiration. 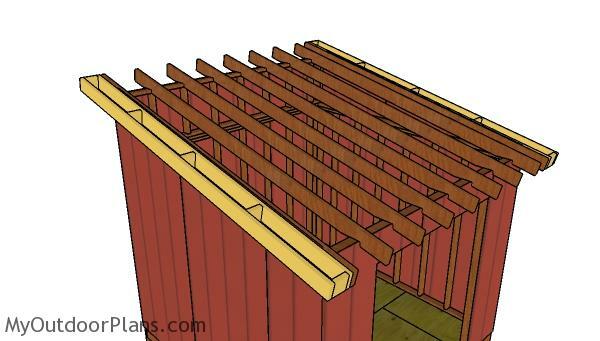 Use 2×6 lumber for the side overhangs. 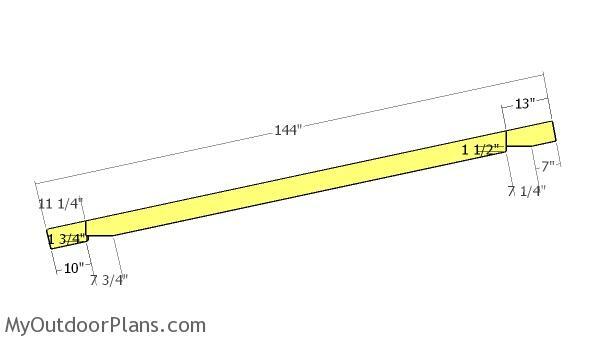 Cut the components from 2×6 lumber at the dimensions shown in the diagram. Drill pilot holes through the long components and insert 3 1/2″ screws into the blockings. 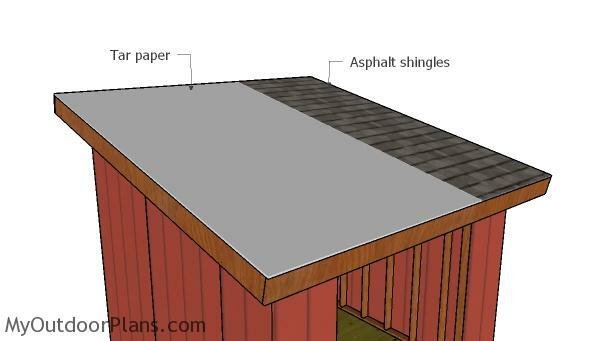 Fit the overhangs to the sides of the roof. Align the edges with attention, drill pilot holes and insert 3 1/2″ screws to lock them into place tightly. 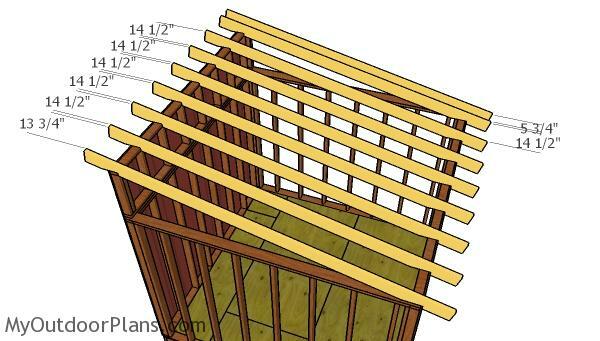 Use 2×8 lumber for the side overhangs. Cut the components at the right dimensions and then lock them together tightly with 3 1/2″ screws. Make sure the edges are flush and check if the corners are square. Fit 1×8 trims to the front and back of the roof. 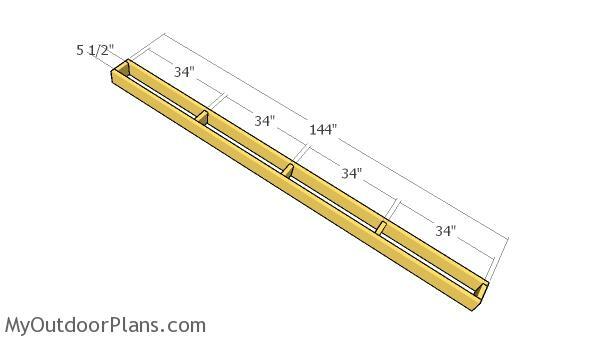 Use 2 1/2″ nails to secure the trims into place tightly. 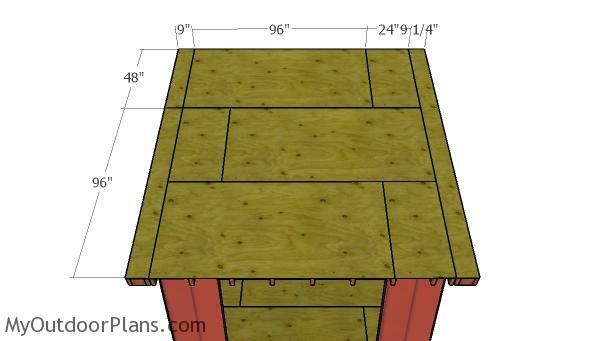 This woodworking project was about 10×10 lean to shed roof plans. If you want to see more outdoor plans, check out the rest of our step by step projects and follow the instructions to obtain a professional result.